Breakfast club is available to all children attending the school and those that attend Lydney Early Learners. The breakfast club provides a safe and welcoming place for your child/children before the school day starts. A morning breakfast session costs £3.25. Fees to be paid through the secure online ParentPay website. The Breakfast Club is able to accommodate your child from 8.00 to 8.45am. Breakfast is served between 8.00 and 8.30. Toast served with a variety of spreads and jams. After the children have eaten their breakfast and cleared away, the club provides stimulating activities until the start of school. The club is staffed according to adult/child ratio. 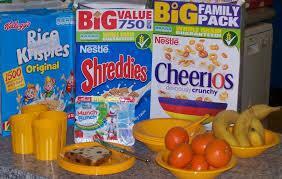 Children who attend the breakfast club are expected to adhere to the school's Behaviour Policy.